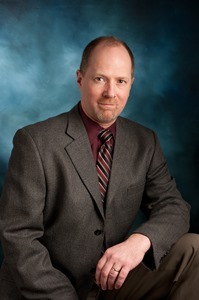 Dwayne L. Houghton received his Associates degree from Muskegon Business College in 1984. After graduation he worked in the tax department of a large corporation. Dwayne then worked for a large local CPA firm from 1985 to 1989. In 1989 he returned to college and obtained his Bachelor’s degree from Grand Valley State University’s Seidman College of Business, receiving his degree in 1991. Dwayne joined BHT&D CPAs in November 1991. He has over 33 years of experience. Dwayne is a member of the American Institute of Certified Public Accountants and Michigan Association of Certified Public Accountants. Dwayne began his career at BHT&D CPAs as a staff accountant. He eventually became the manager of the business services department. On January 1, 2000 Dwayne became a shareholder in BHT&D CPAs. His areas of responsibility include the business services department, client payroll services and the Firm’s technology systems. He is also the shareholder in charge of the Firm’s Ada office. Dwayne has experience working with clients in many industries. His areas of concentration include professional services and manufacturing. Dwayne is one of the Firm’s QuickBooks Proadvisors and can assist clients in choosing software for their business. Dwayne has been married to his wife, Dawn, for 29 years. Together they have two daughters. In his free time he enjoys spending time with his family and friends, bicycling, golfing and woodworking.